Thanks to Zotac, we’ll be taking a look at the their GeForce GTX 1070 Ti AMP Extreme (8GB GDDR5) graphics card. In recent months, the competition between AMD and Nvidia has been heating up, and although AMD’s recent release of their Radeon RX Vega 64/56 had mixed reactions, it’s still considered a threat to Nvidia’s dominant market share of desktop graphics card. To counter AMD’s effort … Nvidia has released the GeFocrce GTX 1070 Ti. In terms of performance, the GeForce GTX 1070 Ti will sit between the GTX 1080 and the GTX 1070. See the comparison chart below. Of course, not content with Nvidia’s GeForce GTX 10710 Ti reference designs, Zotac has added extras such as the IceStorm Cooling with EKO Fans, Metallic ExoArmor with wraparound backplate, PowerBoost for stability, and SPECTRA LED Lighting System. 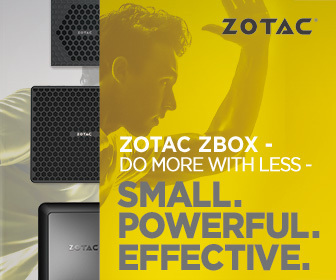 For the AMP Extreme edition, Zotac has factory tested their GPUs to overclock up to an extra +150 MHz GPU core, and more than +200 MHz on the memory. This can be achieved using their ONE CLICK OC function via the FireStorm software. More about that here. I will be interesting to see how this card will perform against its bigger sibblings, the GTX 1080, GTX 1080 Ti and the Radeon RX Vega 64, which we recently reviewed. Let’s get right down to business and check out the specifications and features of the Zotac GeForce GTX 1070 Ti AMP Extreme (8GB GDDR5) on our next page.